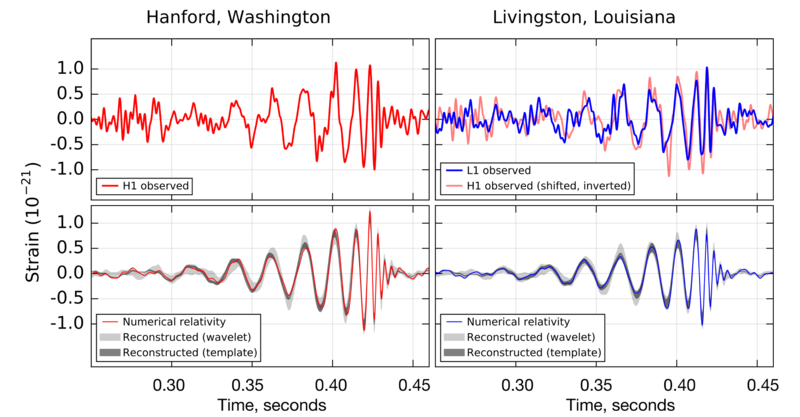 By now, pretty much everyone has head about the discovery of gravity waves by the Laser Interferometer Gravitational-Wave Observatory (LIGO) on Feb 11th. But what does it really mean? How do we put this into perspective?The actual discovery was made on 14 September 2015 at 4:50:45 AM Eastern standard time. 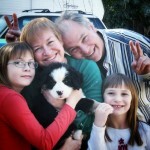 (The delay was to validate the work. And four other smaller events have been observed since then, just not as spectacular.) For us Physics nerds, this was a really big day. There have been announcements in the past that haven’t held up, but this one seems to be the real thing. This is the Hanford LIGO installation. There is another one in Louisiana. The reason one has to have two detectors is that the signal are so weak, that one can see a signal out of the detector. Having two really far apart means you can see if the signal shows up at both detectors. This is called a coincidence experiment. If it shows up at only one, it’s not real. If it shows up at both, it’s a real signal. Photo from LIGO. In reading about this at the LIGO site, I found this other really cool graphic. While gravity waves were first postulated by Einstein over 100 years ago, no one had really ever seen one. So how did the scientists know that what they saw was really from gravity waves. Well, they did the math and modelled it. The upper right left quadrant is the signal seen at the Hanford facility. Upper right shows the two site signals overlapped. The lower quadrants show the fit to the data using three different simulation methods. Looks pretty good, no? 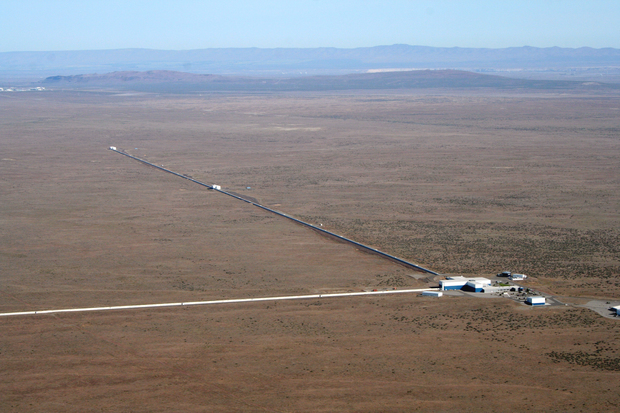 Image from LIGO. There is a group that simulates extreme spacetimes (SXS at black-holes.org) that has made a movie about the coalescing of these two black holes. This is two black holes (the dark things in the center) orbiting around each other. All the dancing stars aren’t really moving, they are far behind the black holes. The apparent motion of these stars is caused by the bending of space due to the large mass of the black holes. I don’t know about you, but I think it’s really cool! One of the many articles I read said that the LIGO system could detect changes in length of a small fraction of a protons diameter. To a physicist, this actually means something we understand. For those that didn’t spend time on the subject, these words may sound impressive, but don’t really mean much. To tell the truth, I had to look up how big a proton was. (It’s 10-15 meters in diameter.) So it’s still a foreign language to the public at large. An article in the New York Times did better, stating that the measurement sensitivity was equivalent to measuring the distance to the nearest star to an accuracy of less than the width of human hair. (I couldn’t find the original citation, but did find the quote in this article.) But while many know what their hair feels like, they may not know it’s about one thousandth of an inch in diameter. But for sure, most have no clue that a light year is about 612 miles. (This is 6 trillion miles.) So we’re getting closer to some things that might make sense to “normal people”, but still have a ways to go. But most of us have seen beaches and are familiar with sand. Turns out that there is a huge amount of sand on our planet. The sensitivity of this experiment would be like finding one specific grain of sand…. Out of all the sand on every beach (as well as under all the seas and all the oceans) on a thousand Earths. Now, this still doesn’t really make sense but it’s as close as I can come up with. If you have a better way to express it, please speak up in the comments. Next Next post: Crowdsource Fundraising. Fees and fees and fees!